Plastic molded chairs, chiptuned synthesized arcade music, black and white propaganda posters. Although these are not the kinds of items you would expect to see in a lab space at an institute that prides itself on looking towards the future, it is items like these that adorn the retroTECH lab. The Technique chatted with the lab’s manager Wendy Hagenmaier to gain insight into this initiative that preserves artifacts in its aim to not only archive the past, but to build the future. The different workstations that comprise the retroTECH lab include different vintage technologies. One such station showcases a timeline of different models of Apple computers, beginning with a clunky 1992 Apple Macintosh LC II and tracking the company’s progress through the years. Another exhibit includes a collection of older games and gaming devices, such as 1994 Myst and 1996 Sims Classic. Former Brittain Fellows from the Institute even designed what they like to refer to as a time machine: a custom-built arcade cabinet, complete with its bright yellow arcade shift knob, which offers students a unique user experience for gaming. The experience the lab has created has attracted students who want to come in and see the artifacts and play the games, creating present-day interactions with the past that have left their marks on the narrative. It is personal touches such as these that reveal the ability of people to leave their trace on what they encounter from the past. The exhibits at the retroTECH lab do not just uncover various layers of history, but also dig up and inspire new stories. The idea for the lab originated from a former Tech student and faculty member, Dr. Jason Ellis. Ellis organized a temporary pop-up display of vintage technology on campus in which all of the items were donated by members of the Tech community. Donors were also asked to submit a label describing the significance of the donated item in their personal lives. This small initiative inspired the retroTECH lab to be what it is today. Hagenmaier explained the idea behind the pop-up display and current lab in terms of digital heritage. “They’re conversation-starters, these pieces of hardware and software, for thinking about who the people were, who used them and the culture of the time and the assumptions of the time, as well as the assumptions that we make now. It helps us be a little more critical and analytical about our own culture and our own innovative practices,” she said. The push to preserve artifacts can be attributed to the tendency for people feel an emotional connection to the items of their past, a nostalgia for that which is gone. Hagenmaier explained the goal of the collection is not to be comprehensive and vast, but particular and unique to the campus identity. 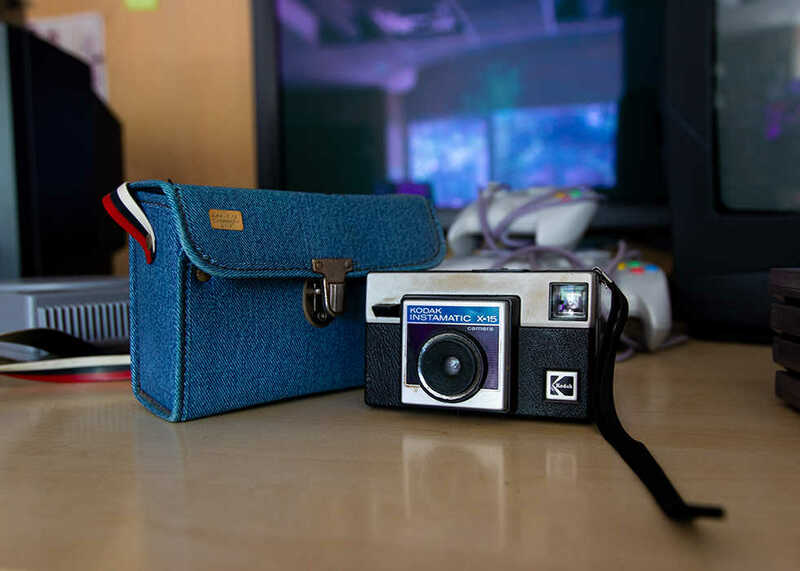 The retroTECH collection does not aim to acquire physical objects, but to cultivate a new mindset: a mindset that will awaken people to the connection that is created as a result of their shared digital heritage. It is with this new, unifying mindset that members of a community are then able to join forces and build the future. “Hack the past, design the future.” This slogan of retroTECH captures the lab’s philosophy and vision: that by exploring the past, visitors may be better equipped to tackle the future. As of now, the lab is quietly tucked away inside the Price Gilbert Library. It goes unnoticed by most passers-by, who are usually too busy rushing to check things off of an ever-growing to-do list to investigate the space. At the completion of the library renovations in January, the retroTECH lab will move inside the brand-new Crossland Tower. It will exist side-by-side with the cutting-edge future. The lab’s coexistence in the Library Next project, a project which aims to design for the future, is not in contradiction to the labs’s philosophy of preserving to the past. The past is not static and unchanging, but fluid and experimental. The doors of the exhibit are open to anyone, from alums familiar with the technology hosted there to freshmen who have never seen anything like it. To learn more about retroTECH and its work, visit retrotech.library.gatech.edu.